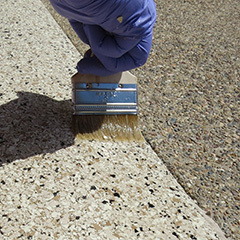 The Chip System uses a 100% solids polyurea with unique technology that offers extreme adhesion, rapid cure, and maximum broadcast time. This system also offers a quick return to service, which leads to less down time for customers. The maximum recoat times contribute to ease of application for the installers. 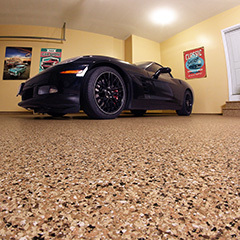 The vinyl chips come in a variety of blends to mix and match with your choice of base coat colors. This is one of the most popular systems because it fits in a wide variety of applications.